The 20th annual Crawley Irish Festival took place over the weekend and already, attendees have posted some fantastic videos of the event on YouTube. 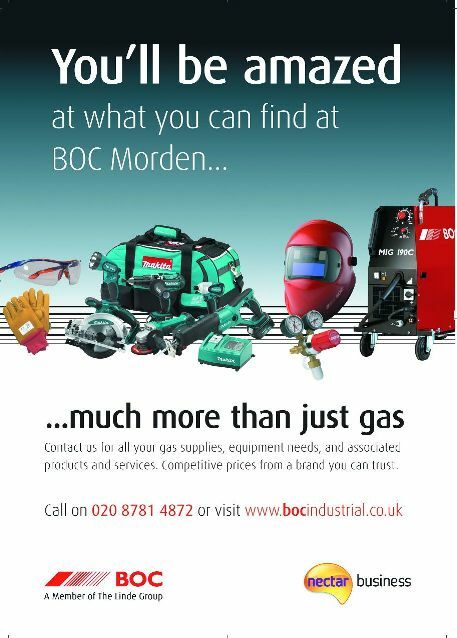 Take a look at some of the videos here. Performances included Irish folk acts and ceilidh dancing and the headline act was singer John McNicholl. There were also dancing demonstrations, craft and food stalls, various displays and Gaelic Football All-Ireland semi-final live on the big screen. The videos don’t cover all of this… so there’s really only one way to make you experience it all in 2016. The Crawley Irish Festival on Sunday 26th August takes on a new format when it enters Crawley High St for the first time ever in a “free for all event”. Mindful of the economic times, the organisers have pulled out all stops to give visitors to the event the best day ever as the town centre hosts its 17th annual event. Breaking from tradition the event organisers The Celtic and Irish Cultural Society (C.I.C.S) have moved away from the location that has staged the event for the last 15 years and with the support from Crawley’s Town Centre Partnership are looking forward to a great day in the town on the August Bank Holiday Sunday. C.I C.S Chairman John Nolan said “It was proving too expensive to hold it in Southgate and with other obstructions in our way we were delighted that Crawley Borough Council gave the thumbs up to the High Street as a venue. 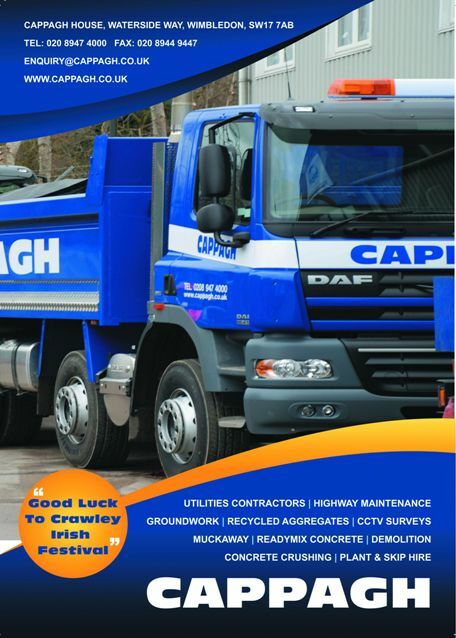 Our St Patrick’s Parade terminated there last year and proved a successful event in an attractive setting. And there is no reason why this can be bigger. 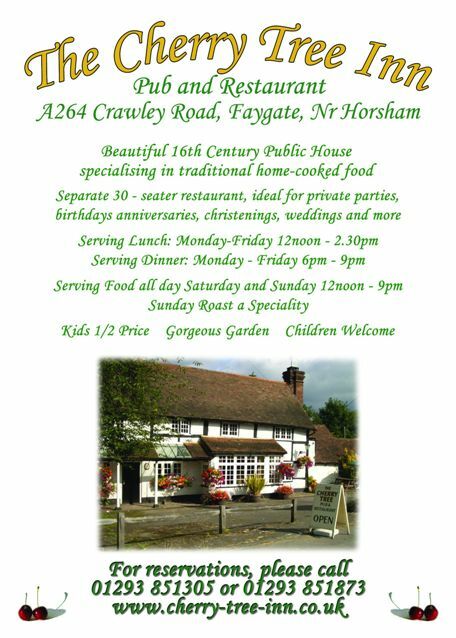 The Town Centre – with its pedestrian precincts – lends itself to such an event and surrounded by its pubs and restaurants the High St can only add to the day and attract people from the whole of Crawley and the South East Of England”. The Festival attracts up to five thousand visitors to the town from throughout Crawley, Sussex and London and has built a reputation as a great family day out over the August weekend. 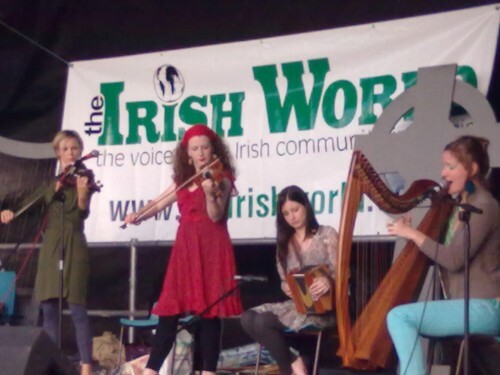 The event showcases some of the best musical talent from Britain and Ireland showing modern, traditional Irish music and open dance competitions with all attracting large audiences. Eight hours of music will see Ireland’s number 1 country singer John McNicholl headline the music stage. 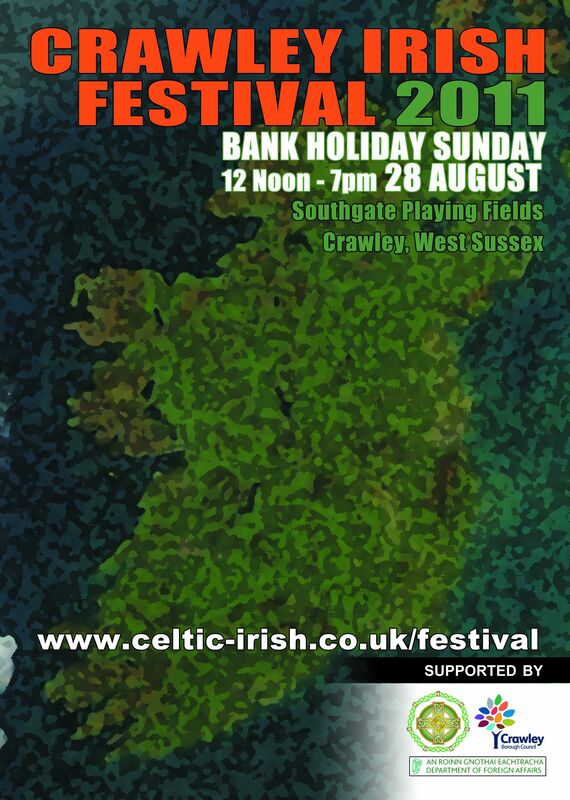 And with London based Irish Traditional band Siansa, Celtic Crunch, Pat Nugent and Mustang, Emerald Element, Brogue, Brendan Behan’s Pig and Whistle Band and many more adding to a real Feadh Ceoil experience to the West Sussex town. The Ceili Marquee with, calling by the master himself Tomas O’Dea, is always a focal point of the occasion and newcomers are always welcome to take part. The Bandstand in Queens Square plays host to the Festival Dance Competition stage where you can see dancers strut their stuff in true Riverdance fashion. Younger visitors are also well catered for with a free special children’s entertainment marquee involving games, song and story and art workshops with particular emphasis on Irish traditions and folklore. Playgroup personnel are on duty through the day to entertain and assist parents and children in the marquee and outside areas. 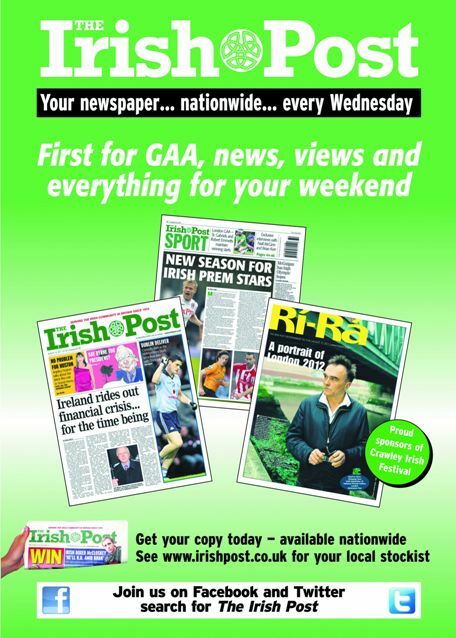 In addition, sport and cultural identity are each featured prominently with various food and craft stalls and displays with GAA sports shown on the big screen. 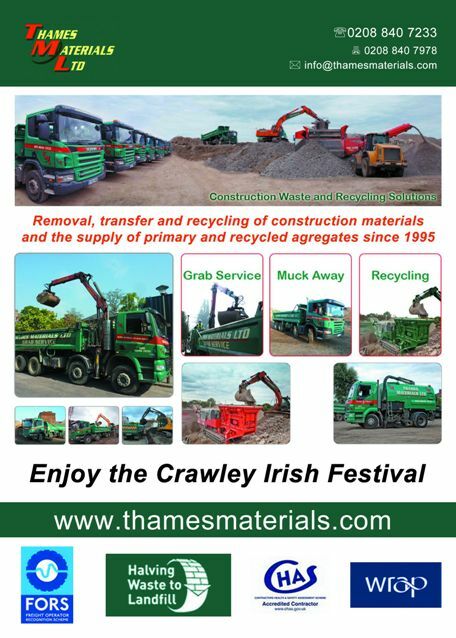 The Crawley Irish Festival is organised by the Celtic & Irish Cultural Society. 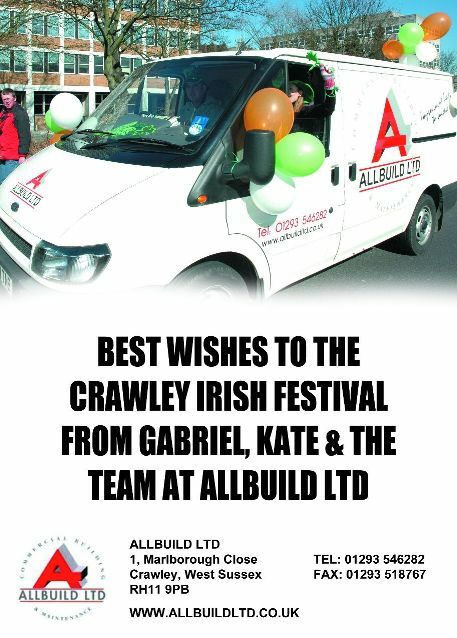 Its success has spawned the St Patrick’s Parade and the Crawley Fleadh and helped run various cultural workshops in the schools together with events in Crawley Library, the Hawth Theatre and Ifield Barn Theatre. The festival is a fantastic day out for the whole family, and with a wide selection of food and refreshment stalls, it’s an ideal bank holiday treat! 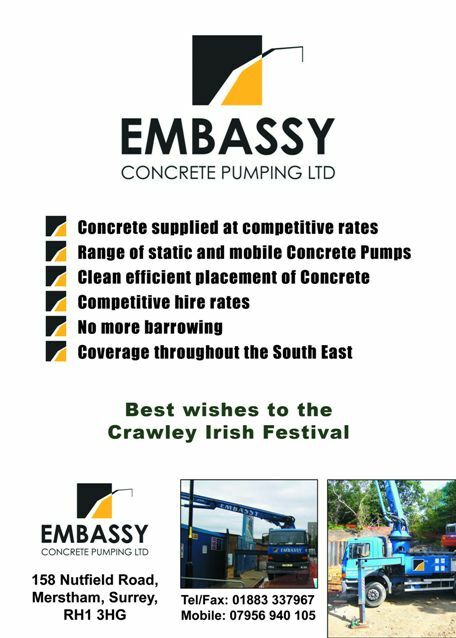 The Celtic and Irish Cultural Society look forward to welcoming all to Crawley High St for its 17th Annual Crawley Irish Festival on Sunday 26th August. The Celtic & Irish Cultural Society is a small group of committed volunteers who work together to organize and run the Festival. With this years festival being totally free event the organisers welcome extra help to run the event. 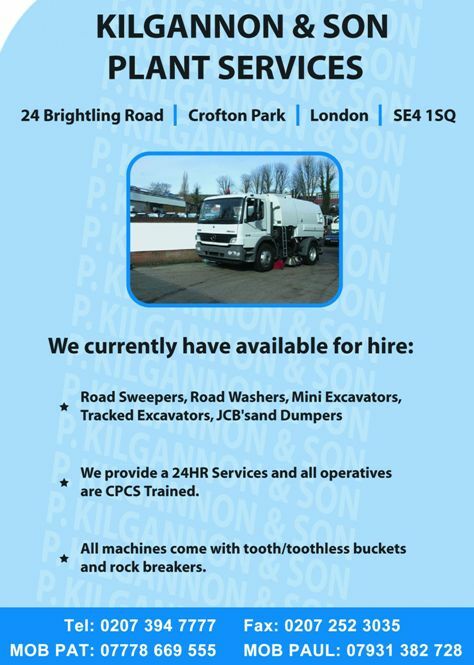 Please contact us if you would like to volunteer. 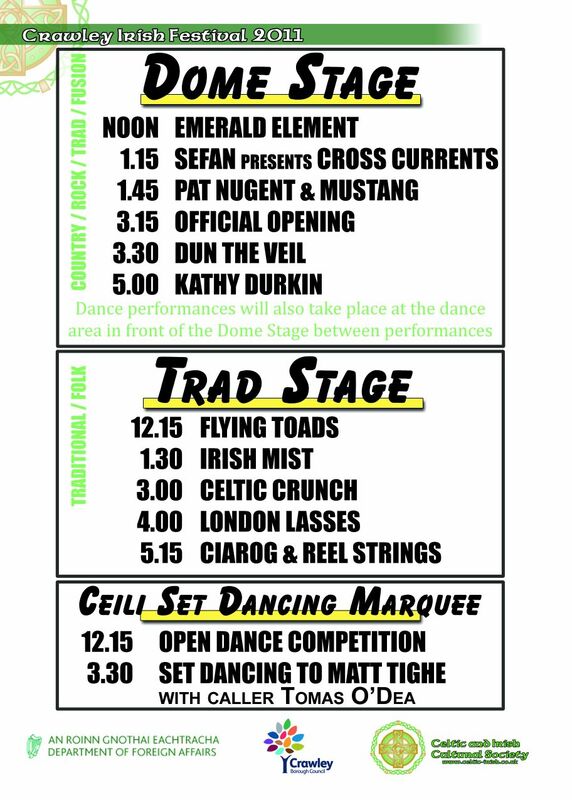 It’s beautiful weather today for the 2011 Crawley Irish Festival so come on down and enjoy all the fun. 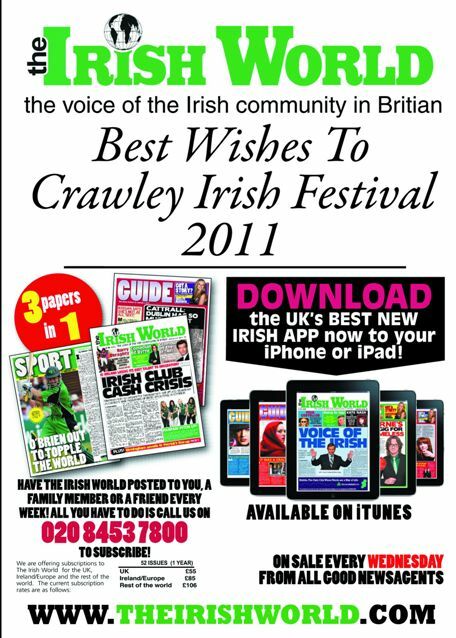 The 2010 Crawley Irish Festival was a great success and you can see some of those memories on our main pages. Please visit http://www.celtic-irish.co.uk/photos/2010-crawley-irish-festival-photos/ for more. The volunteers meeting for this year’s festival will be held on Thursday 21 August at the Emerald Club in Crawley (the same venue as the festival effectively). It will start at 8.30 prompt so please come along at 8pm. Please come along and lend your support. 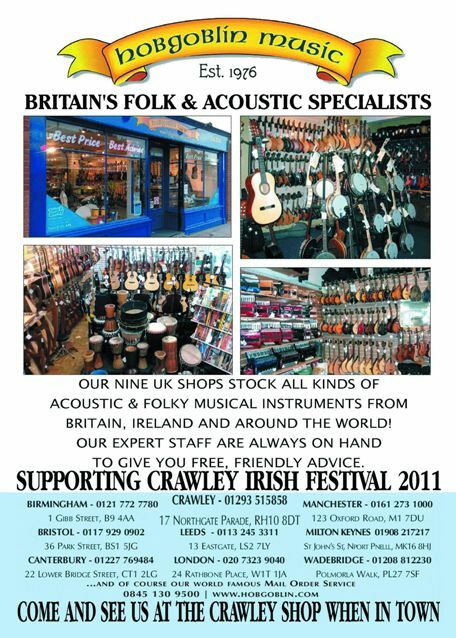 The Crawley Irish Festival has been awarded National Lottery Funding for the 2008 Crawley Irish Festival. This year’s festival is the first time the Celtic and Irish Cultural Society has received funding from the National Lottery’s community fund and will allow additional entertainment and progress on the professionalisation of our events. AWARDS FOR ALL now joins a number of other funding partners that began funding the event this year including the Crawley Town Centre Partnership, the Gatwick Airport Community Trust, West Sussex County Council and Crawley Borough Borough. 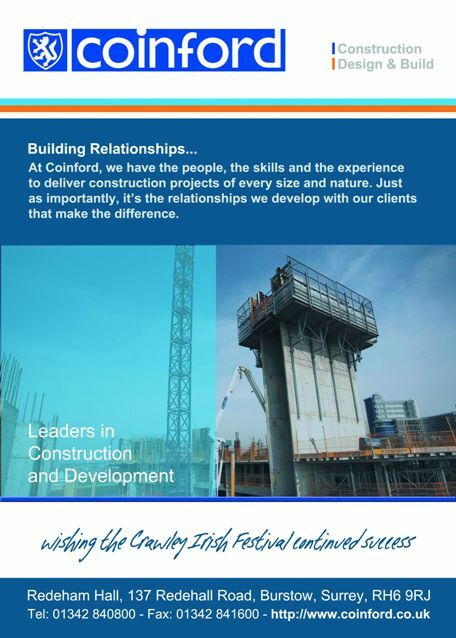 To find out more details on our funding partners, corporate and stage sponsors can be found at http://www.celtic-irish.co.uk/festival/sponsors. 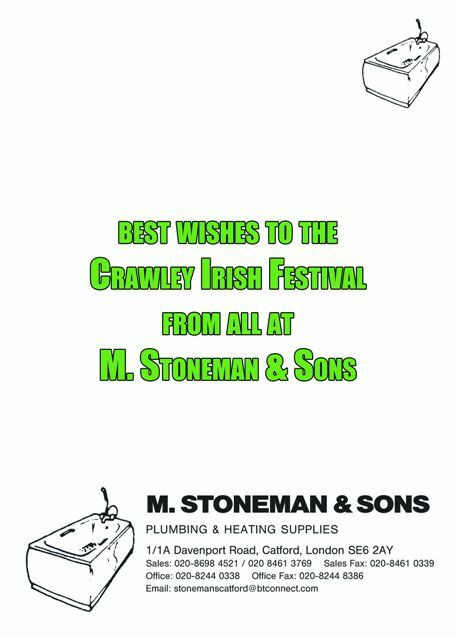 New website uploaded… keep up to date with all the news for the 13th Annual Crawley Irish Festival here.